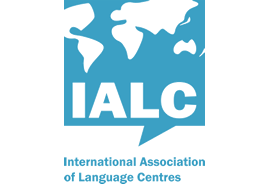 It’s time to get a certificate! On December 3rd, Mandarin House hosted its third HSK exam. In total there were 104 participants! The majority of them prepared for the test at Mandarin House, but other test takers included students from international schools as well as executives from multinational companies. Many HSK participants chose Mandarin House because it is the most convenient testing center in Shanghai, centrally located at People’s Square. 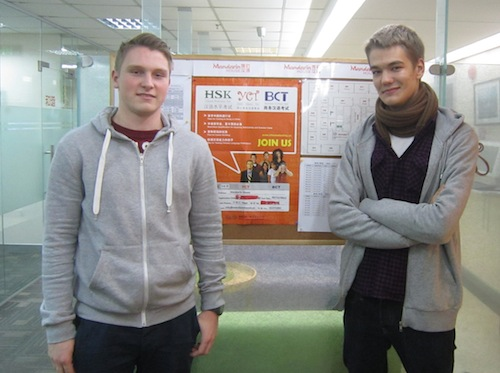 Two Mandarin House students, Marius Brockfeldt and Tilman Wagner (pictured above), took the HSK level 3 exam after just 3 months of studying with us. They are currently in their gap year between high school and university and decided to come to China to study Chinese in order to differentiate themselves from other university applicants. Their advice to test takers: “Review the HSK vocab list, practice with some sample tests, and remember your #2 pencil.” Despite only learning Chinese for 3 months, both Marius and Tilman are quite confident about their test results and look forward to taking the level 4 test after a couple more months of studying with Mandarin House. Mandarin House is an official Registered Testing Center for the HSK exam.